When you start a program that works with intuitive energy, the process is very different than what you would normally receive in our modern Western Medicine. With the modern approach, most treatment plans or medications are focused on the symptoms, and how to alleviate them. This may work, but many times does not resolve the underlying cause. It is important to have the clinical information and honor that approach, but there are times when working with an Energy Medicine or Medical Intuitive program, can access what is going on between the lines of the modern approach. 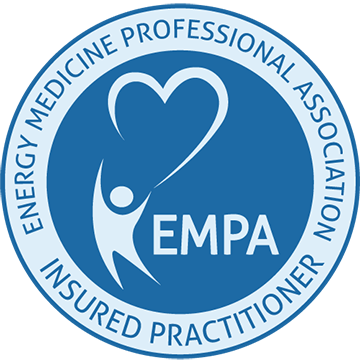 I am a strong believer in working with information from your regular doctor or vet so that my work can complement what they are doing. My services are not intended to be a substitute. Why is it recommended to have more than on session? My approach to the series of sessions that we set up for you or your animal, is based on my assessment of what your body is willing to shift and change at that moment. As a result, it can take a bit more time for the body to adjust to the energetic changes providing the opportunity for the body to heal at its pace. Each session is designed to build on the previous one, reinforcing the changes and allowing the appropriate layer to fall away as it is ready. Nothing is forced, and each session reveals what is ready to shift. So what does this really mean? It usually takes many years for your body to manifest a serious health issue. It is not going to be resolved in one session. 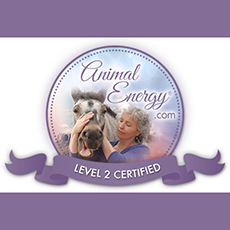 I encourage you to give you or your pet the opportunity to have at least 3 sessions to experience how energy medicine can give your body the ability to start on a healing path. Then, have follow up sessions a few times a year help to keep everything up to date and adjust to anything new in your life. When I work with you and/or your horse or dog in the Mindset/Performance program, the same applies. There are many layers that need to be cleared and released so that you both can reveal the true potential and essence of your being. There are the individual pieces followed by the team aspect, which allows you both to work together in sync for the best results. This means that I focus on your needs first to discover what is causing resistance and self sabotage in your mindset. I also look at past experiences and old limiting beliefs that may be holding you back. If there are any physical issues, we address those as well. This also applies to your horse or dog, to bring them up to their top form as well. Once those pieces are in place, I work with you both as a single entity/team to allow you to work together and in sync as one. You learn a lot about yourself and your partner. This can take some time, but with the dedication and willingness to be your best, anything is possible!